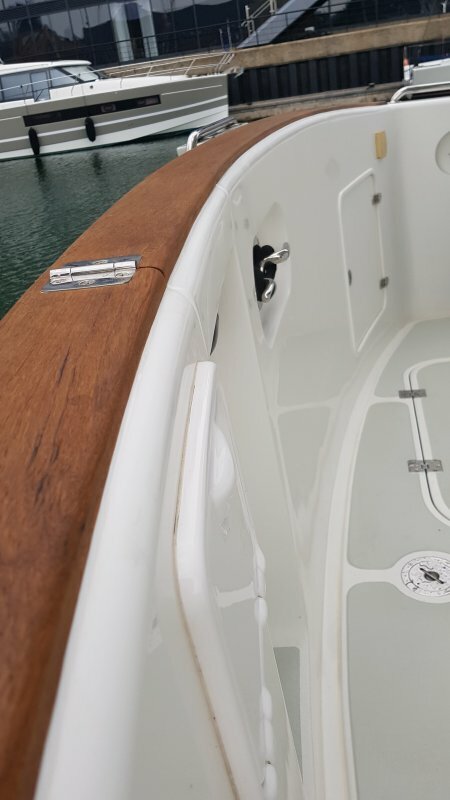 At first glance, some exterior solid wood parts can appear tarnished , cracked and green in places but the beauty of teak and why it’s commonly used in the marine industry is its resilient properties to the elements. 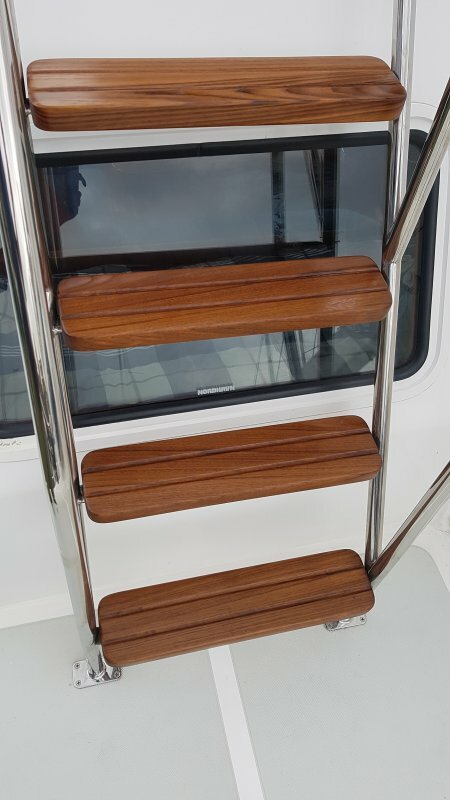 With Malaspina , the exterior solid teak steps from the boat deck to the flybridge along with the cap rail required a little TLC. The steps were removed as the underside also needed attention, so having them at the workshop was far easier. 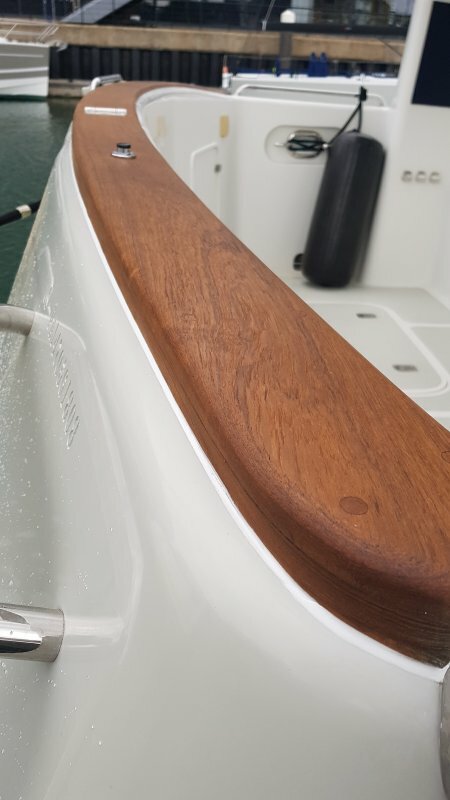 Cleaning them back, addressing any slight cracks were dealt with and then began the process of sanding them back through the grades to close the grain and to give them a smooth deep luster. 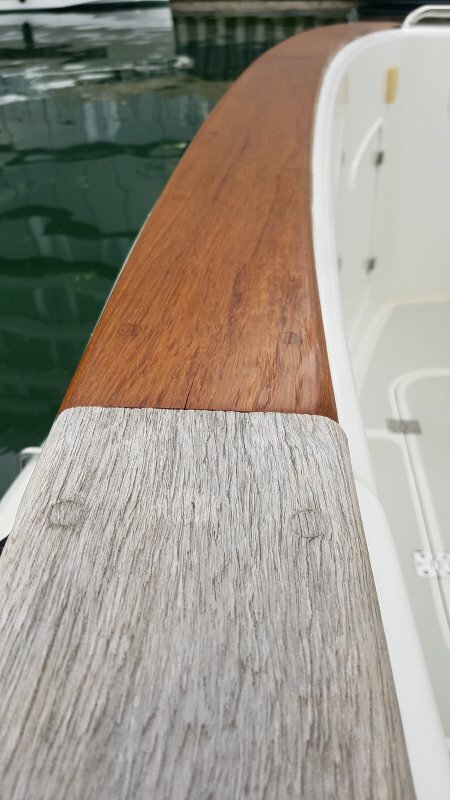 Once sanded, they were wiped clean and teak oil was lightly applied to give back their unique look and protection. 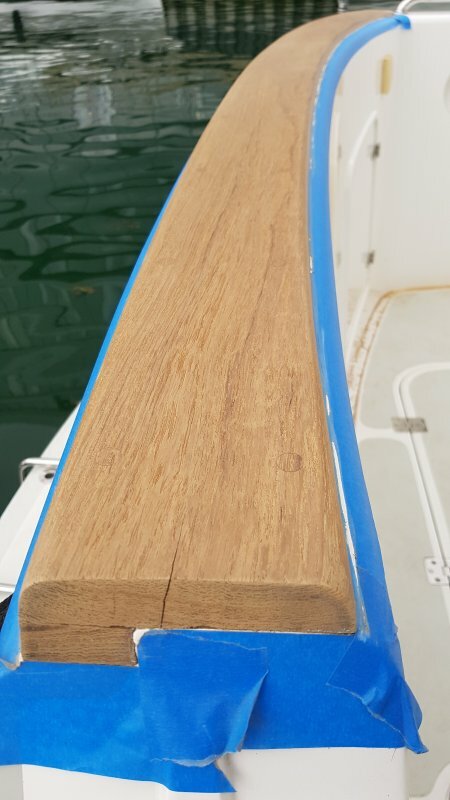 They were reinstated back on board and over the course of a couple of days, more light coats of oil were applied. The process was repeated for the cap rail but of course, it was carried out in situ. 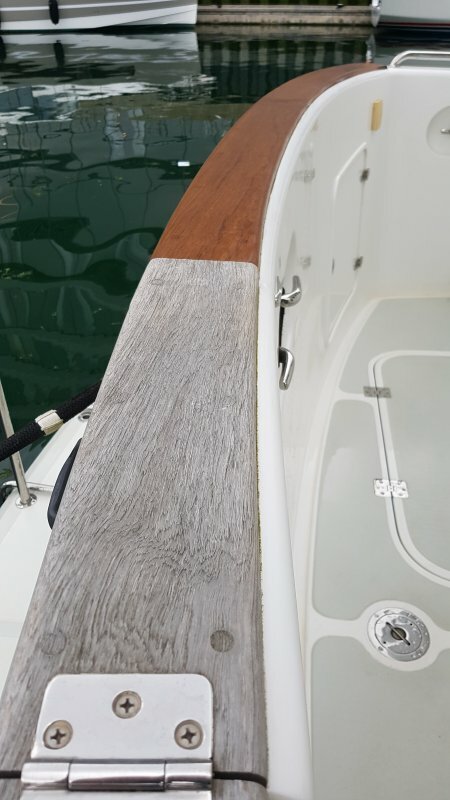 Once numerous coats of teak oil were applied. 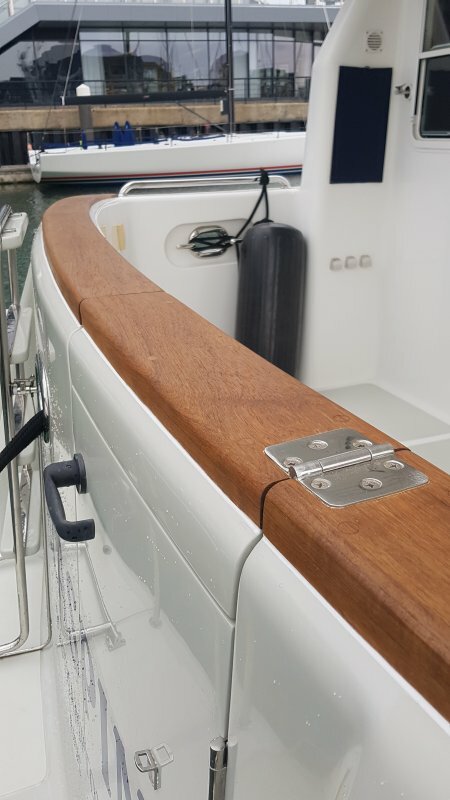 A finishing silicone bead was piped into the crease between the rail and the bulwark to complete the look.